CORRECTION. I received a very polite email today from the folks who own Elf on a Shelf. 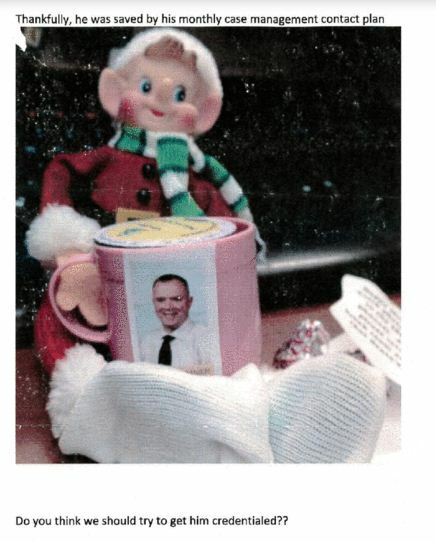 They corrected my post and clarified that the ‘elves’ that Ms. Paul used in her post were not the Elf on a Shelf. The email contained the following. “The Elf on the Shelf is in no way affiliated with these emails, nor does it condone judgment or mockery of the men and women of our military, or anyone for that matter. We hope you understand our concern that The Elf on the Shelf brand, which is built around creating family moments and joy at the holidays, would be incorrectly linked to this story.” My apologies to the folks at Elf on a Shelf for incorrectly identifying the character. On the heels of the VA Secretary lying about his services as a “Special Forces” soldier, we now have a program manager from the VA in Indianapolis apparently mocking veteran suicides. Maybe Ms. Paul needs a reminder that 22 Veterans per DAY commit suicide in this country. Many of these veterans are scarred from their time in combat while in service to their nation. They do not deserve derision and mockery rather they need and deserve our support. This wonderful representative of the Indianapolis Veterans Administration (yes that is sarcasm) wrote an email with a series of off color Christmas Jokes. 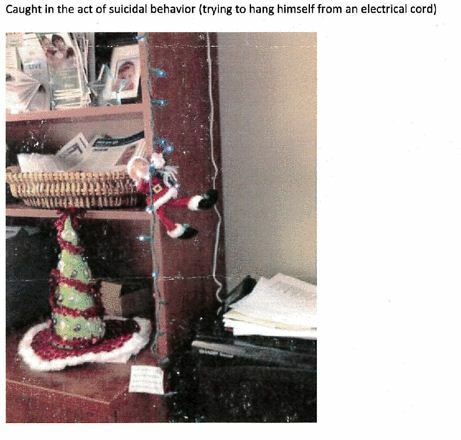 In the email below, Ms. Paul jokes that the elf was: “…caught in the act of suicidal behavior (trying to hang himself with an electrical cord)” The picture has a note that says “Out of Xanax, please help!”. While Ms. Paul may think this is amusing, to those of us who are in the community of combat arms veterans, it is no laughing matter. In one of the Facebook groups of which I am a member, I can name two veterans who have committed suicide since the start of 2015. If the VA wants to know why there is a problem with veteran suicides maybe they should look no farther than their own incompetent, indifferent program manager who believes it is funny to mock veterans who are suicidal over Christmas. It should be noted that the statement on the Indianapolis VAs website says: “Honoring America’s Veterans with quality health care services, part of the largest integrated health care system in the U.S.” Mocking America’s Veterans is not ‘Honoring” them. While I cannot find a direct email for Mr. Richard Roudebush, you can contact him via Facebook message here. He is Ms. Pauls supervisor. “Lady” That was a despicable thing to joke about. You should not have the Honor of serving( That’s right, I said serving ) these brave and honorable Veterans. Shame on you and the rest of the incompetents at the VA. I hope you are fired !!!! TRUE WARRIORS TO THE FRONT AND GET MAD AS HELL! GRANT LIFE OR SUICIDE TO TRUE, COURAGEOUS WARRIORS OR GIVE UNNEEDED TREATMENT AND BENEFITS TO HORDES OF LYING AND EMBELLISHING THIEVES SEEKING UNCONTESTED AND UNEARNED GLORY AND RECOGNITION WHO NEVER SET FOOT ON A BATTLEFIELD OR FIRED A SHOT AT THE ENEMY! The following news article at the bottom of my comments demonstrates, vividly the need from changing the current government PTSD policy and adopting the sensible Post Combat Stress Disorder, “PCSD” and Purple Heart Medal Proposal. The current VA policy is indeed laughable (if it were not so DEADLY serious). No wonder this VA supervisor and caregivers are laughing, emailing cartoons and falsely implicating and making fun of our national heroes by not separating truth from fiction or true heroes from lying frauds! This VA fiasco is a direct result of lowering the criteria to prove participation in combat to allow fraudulent, frivolous PTSD claims by embellishers, downright liars and phonies of every description which impairs and delays vital treatment to courageous, proven warriors who are in dire need of VA treatments and benefits! The current PTSD policy actually helps create the conditions which cause or exacerbates twenty two (22) warrior suicides daily! This classic blunder has to be stopped now, not later before one more hero takes their own lives. There are actually cases of VA claims being approved because an airman loaded bombs in Thailand that combat pilots dropped in Vietnam. The “loader” claimed that he knows those bombs killed people and he feels guilty for their (unproven) and he suffers PTSD as a result! Another is an airman unloaded zipped up body bags from a plane in Japan of dead warriors from Vietnam. He claimed this upset him and he has PTSD as a result! Countless other silly examples of combat stress abound and do make a mockery of current PTSD policy which is surely an abomination and insult to every dirt level, mud and blood soldier who every went toe-to toe with America’s deadliest enemies on the true battlefields of freedom! Perhaps there truly is little tinker bells flitting around VAMCs all over their country sprinkling some form of magical pixie dust which makes government medical staffs and psychiatrists believe they have suffered some indignity to their psyche as a result of their remote from the battlefield military service! Perhaps everyone who treats these little twits and gives them their little baggies of magical prescriptions are saving them from some Peter Pan nightmare, maybe even Captain Hook is chasing them through their Never, Never Land. I guess anything is possible in this world of ridiculous sensitivities, empathy and political correctness! Give me a break; better yet, STOP THIS FOOLISHNESS AND SAVE SOME LIVES FOR A CHANGE! THE LIVES OF BRAVE WARRIORS STANDING AT THE BACK OF LINE FOR VA TREATMENT AND PROFESSIONAL CARE! MAYBE THEN THEY WOULD NOT RESORT TO SELF-MEDICATION THAT IS SLOWLY “UNDOING THEIR CHARACTER” IN A LIVING HELL WITH NO WHERE TO TURN FOR HELP! © IN AMERICA A BLOODY HOLOCAUST THRIVES! PTSD TAKES LIVES – PCSD SAVES LIVES! THE DIFFERENCE IS BREATH TAKING! TO STOP THE PTSD BLEED THE FOLLOWING PCSD CONCEPT ALL MUST READ AND HEED! CURRENT GOVERNMENT PTSD POLICY KILLS 22 WARRIORS A DAY, THE NEXT MAY BE YOUR DAY! The Devil loves our governments foolish PTSD Policy, it keeps on killing our bravest warriors (22 a day) and allows every rear area crying powder puff Sad Sack draw benefits and clog the system, delaying treatment to the worthy, regardless of the fact Sad Sack never fired a shot but claims he was SCARED! Yes, SCARED! SO CRYING SAD SACK’s CLAIM and ACCLAIM is approved! Now he can wear false awards and be a successful “wanna be” why our true warrior’s blood flows free! How can our government leaders and even misguided fellow warriors (no blood-no PHM) let this be? They scoff at Purple Heat Medal parity for Post Combat Stress Disorder, “PCSD” and allow “band aid’ PHM awardees with no scars or disability pretend they are Audie Murphy! This policy is a disgraceful sham for bleeding hearts who know nothing of toe-to-toe, intense mud and blood combat and those who truly bear the burdens of battle and hellacious war! The VA’s motto directs from President Lincoln, “To care for he who bore the battle, his widow or orphans!” The VA and all in authority must correct the current policy which is a miscarriage of justice and IS KILLING OUR NATION’S HEROES BY PROXY, DISGUSTINGLY AND OBSCENELY SLAUGHTERING OUR WARRIORS, BY DESPAIR AND DESPONDENCY UTILIZING THE WARRIOR’S OWN TORMENTED MIND AND HANDS AGAINST THEMSELVES! IT IS DRIVING THEM TO DISGUST AND SUICIDE! SOLVE THE ENIGMAS BY REMOVING THE STIGMAS CURRENT POLICY PREDICATES! NOW, BEFORE ONE MORE HERO IS WASTED! GRIFFIN’SLAIR – A Post Combat Stress Disorder Website “PCSD” for warriors suffering from all symptoms of PCSD, including Survivor’s Guilt, Despair and Despondency because they risked all for those they love and hold so dear and for their beliefs and patriotism. Now is the time for their families, friends, loved ones and all Americans to come to their aid and show they truly care! Griffin’s Lair exists to bring honor to our military and veterans of all eras. Its main thrust is to assist those brave souls suffering from PCSD by replacing undeserved ridicule, dishonor, misunderstanding and fear with well-earned and much deserved honor, respect, dignity, effective care and treatment as well as long overdue justice and fairness by establishing parity with all other honorably, enemy inflicted wounds through the awarding of the Purple Heart Medal. Griffin’s Lair PCSD Concept and Purple Heart Medal Proposal, if enacted would establish a strong foundation and basis to removing the stigmas of combat stress and solve the enigmas and puzzlements of ineffective treatments and dramatically reduce or eliminate the outrageous and unacceptable numbers of combat caused and torment driven service connected suicides plaguing our military and veteran community. In regards to the medical aspects of comparing PTSD to PCSD the symptoms are admittedly similar, if not the same, but the cause and military mindset of our nation’s bravest demand a far different approach for effective treatment of our warrior population. Military personnel are honor, unit and pride driven. If you strip them of these essential characteristics they would fail in vicious battle through individual defeat and unit disintegration. Likewise, to strip these courageous, proven warriors, after the guns are silenced, of these essential ideals destroys their self-pride, self-worth, personal dignity and reduces them to self-loathing, despair and despondency which could result in the taking of their own lives by their own hands! Admittedly, many contributing factors in negative personal actions and misbehavior all exacerbate these deadly wounds. We need a new approach, both militarily and medically to replace despair and suicide with dignity and respect. The military espouses “DEATH BEFORE DISHONOR!”, while PCSD causes DISHONOR BEFORE DEATH! PCSD LITERALLY TURNS THE BRAVE WARRIOR’S WORLD UPSIDE DOWN! We must replace despair with hope and death with dignity before we can salvage and save these broken lives! They deserve a chance at a bright, happy and prosperous future; after all they gifted it to you in a free, safe and sound existence! Below is a desperate, plead for help in the form of a poem written by a dedicated, proven, decorated true combat warrior and veteran in the throes of deadly PCSD depression and despondency, who at the time was at wits end. It leaves no doubt of sincere and very real extreme anxiety. I know this warrior very well, for it was I before the VA, proper care and professional people and genuine concern was rendered unto me. They saved my life and I am continually grateful. I thank god for every new day and the chance to help other suffering from the absolute true hell, torments and agonies of very real combat stress (PCSD)! I dare any “Tinker Bell” out there stealing VA claims to be truly able to relate to it or name any or all of the battles he fought in that would put one in such state of mind and affairs! Evil horrors that Satan has unleashed…. My dying wish, they come to appreciate, the warriors worth! Please pray for peace, our military, combat veterans, and the defeat of Post Combat Stress Disorder. Griffin’s Lair http://www.grifslair.com A PCSD WEBSITE for warriors and those who love and care about them. Please join and be active in Advocates Promoting the Post Combat Stress Disorder Concept at https://www.facebook.com/groups/800472233334811/?pnref=story THANK YOU! This woman is a disgrace. She is not fit to shine the shoes of ANY veteran or active serviceman or servicewoman. I’d like to see this sorry excuse for a human being shipped over to a war zone and come back a week later unchanged. I’m sickened to my core over this disgusting woman’s workplace behavior. It is simple. Apparently this unfeeling individual has never experienced trauma. So give her some….fire her backside!! We need to demand this woman gone. These men n women risk their lives to be disrespected by these people. That is so awful to make fun of veterans. She looks like a problem anyways. 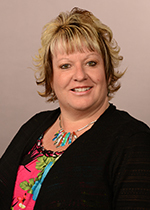 Manipulative, conniving abnoishish, controlling and selfishness individual – robin Paul that is. I’m sure that’lll was that last joke of her career. Then she had the nerve to play the victim. Poor robin Paul, sickeming with 22 veterans per day taking there lives, sickening of a licensed SW so stupid. Just like many of the VA managers who think there are invisible and without consequences.Jokes on you, whose laughing now? I’m sure the staff and veterans are probably glad she is no longer there.